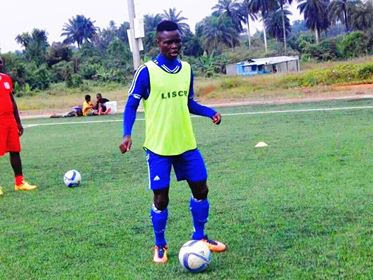 Great things are expected of the 19-year old Montserrado based player, who is set to make his debut for the Liberia first division club LISCR FC this season. Benjamin Doe, alias Toni Kroos was arguably Gardnersville FC best player last season, as his versatility proved to be an added advantage for the Gardnerville based club. The Technical Staffs of LISCR took note of the 19-year old scintillating showings last season in the LFA second division and promptly requested his service at the senior club. 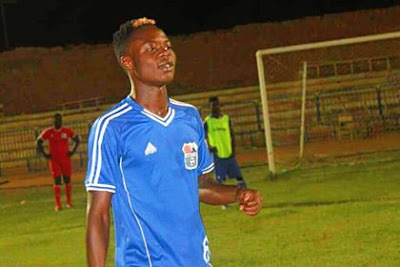 He is yet to make any appearance for LISCR, but at just 19 years, Doe is set for many outings for the defending Champion of the LFA first division league. The Sinoe County native has all of the attributes required to make a name on the bigger scene of Soccer, which is why his loan deal didn't come as surprised. Benjamin Doe is not just a defensive minded player, but can also function as a quality passing midfielder or as a point Striker due to the keen eye he has for goal. Given his rapid development, it came as no surprise when Doe was called upon to the provisional 25-man squad for the Liberia national U20 team at the WAFU tournament. This season will be essential to his improvement as he depicts nothing less than a top youngster hitting for the highest. I'm glad to have come across this exciting news about the Liberian football. Hope the young man lives up to his potentials. Thanks to Mr. Momolu Kpanyanwu for the coverage, also, thanks to C LIBERIA CLEARLY for its commitment to showing Liberia to world.